So sorry about posting Friday’s comic on Thursday. I’m sure it ruined your weekend, and for that I am truly sorry. Soooo, here’s a robot. 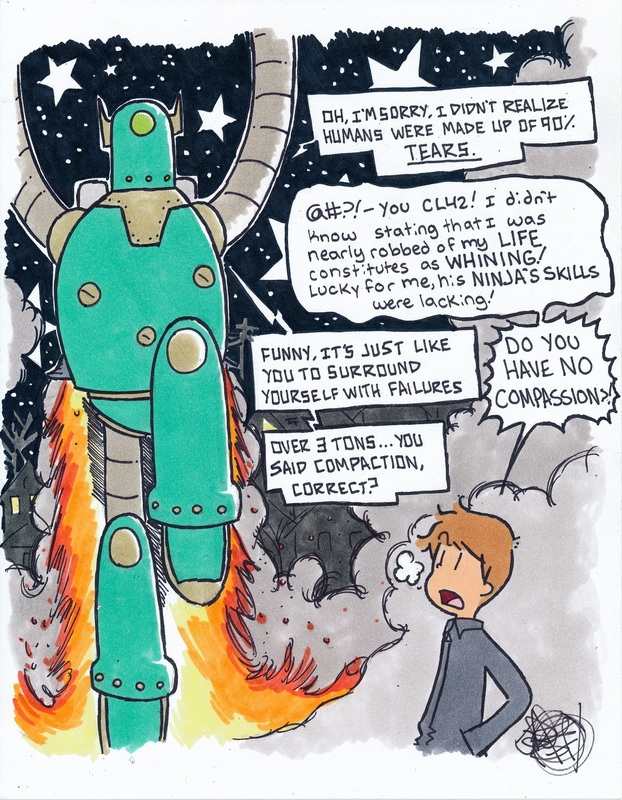 This entry was posted in Comics, Random Strips and tagged jake rohdy, made of tears, ninja, random comic, robots. Bookmark the permalink.